WASHINGTON, Dec. 11 – (RealEstateRama) — Construction materials prices fell 1.8 percent in November, according to Associated Builders and Contractors’ analysis of U.S. Bureau of Labor Statistics data released today. Despite the monthly decline, materials prices are still 5.3 percent higher than they were on a year-over-year basis. 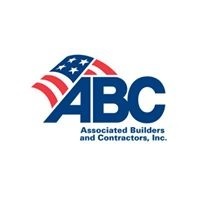 “In general, contractors should find today’s report to be packed with positive data,” said ABC Chief Economist Anirban Basu. “Earlier in 2018, materials prices were racing skyward due to a combination of strong domestic demand, a synchronized global economic recovery, pervasive increases in asset prices, and tariffs imposed on steel, softwood lumber and other inputs. “Yet circumstances have changed materially,” said Basu. “The global economy has weakened in intervening months, which implies that demand for key productive inputs is no longer expanding rapidly. Rather than consistently rising, various asset prices have exhibited mores volatility. Given growing economic and financial uncertainty around the world, more investors have crowded into U.S. dollar-denominated assets as safe havens, pushing the value of the greenback higher, which also can suppress materials price increases. Moreover, the quantity of domestic production of certain key inputs appears to have risen in the context of higher prices earlier this year, including oil, softwood lumber and steel.